VIDE DRESSING WITH OUR FAVORITE BLOGGERS ! We invite you on September 22nd from 11am to 7pm for a special back-to-school vide-dressing! To share a good time and meet again this fall, we present you the first edition of the vide-dressing of French influences that we all follow on social networks! It is the opportunity to discover the dressing room of our favorite fashion designers and to offer yourself a trendy room to start the year in a friendly atmosphere. In addition, Marie, the creator of the superb Gaston in Barcelona skirts, will present you her new models, the opportunity to discover her creations made in Barcelona! COME IN LARGE NUMBERS ! 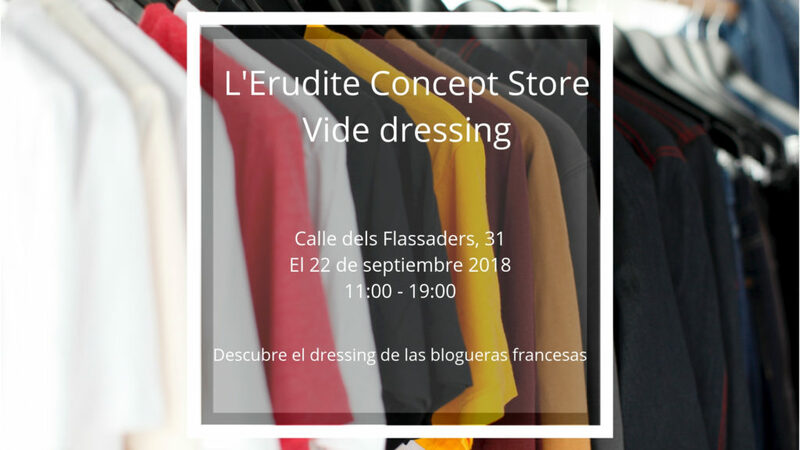 On the occasion of this new school year, we propose you, on thursday 4th, an aperitif at the shop to help you discover or rediscover its concept as well as the creators who are present there. 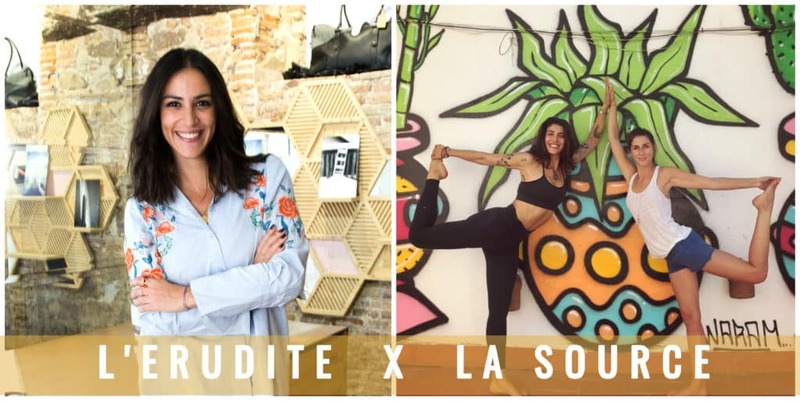 For this first meeting, Charlyne and Maéva de La Source will delight your taste buds and present their wellness concept, which includes Yoga, vegetarian tasting and eco-responsible workshops. Small surprise gifts by La Source and vouchers by l’Erudite to win throughout the evening. Come and enjoy a relaxing and warm break, specially prepared for you.